The 59th Annual Conference of the American Translators Association is quickly approaching. If you haven’t already registered, there’s still time! Visit the ATA59 registration page to secure your place at the conference. As you prepare for the conference, we’d like to share TCD news and recent activities. We look forward to seeing you in NOLA. It is an honor for me to serve as administrator of the Translation Company Division. I am an ATA-Certified English-Spanish translator passionate about the translation industry and the impact our profession has worldwide. I have been a member of ATA for several years and have attended all of the annual conferences since joining. I found the Translation Company Division networking events to be an excellent way of connecting with colleagues. My goal as administrator of the division is to make sure that we are providing sufficient opportunities for division members to network, as well as to promote collaboration between translation companies and independent translators. I would like to continue to build a strong volunteer base for the division, continuing the excellent work accomplished by previous administrators and the past and current Division Leadership Council. I would also like to bolster our division communication efforts to division members through social media and other channels. 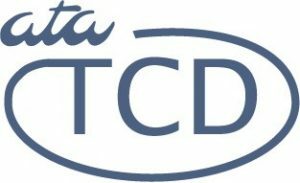 If you are planning to attend the ATA conference in New Orleans, I hope that you will take advantage of the ATA-TCD Networking Dinner which will take place on Wednesday, October 24, at 7:30-10:00 p.m. (after the Welcome Celebration) at Oceana Grill (a short walk from the conference hotel). You can read more about the event here. I would like to give a special thank you to our assistant administrator, Alaina Brantner, as well as our leadership council. I am looking forward to the next two years working with them and helping to expand the TCD’s reach. Ray Valido proposed the creation of the Project Manager Special Interest Group, nested under the Translation Company Division of the ATA. A translation project manager of the Office of Language Services of the U.S. Department of State, Valido holds a Master of Arts in Translation and Localization Management (Spanish) from the Middlebury Institute of International Studies at Monterey. His language pairs are Spanish to English and Filipino to English. ATA TCD: What inspired you to propose the creation of the Project Manager Special Interest Group? RV: At a recent ATA annual conference, I was at the welcome celebration with several other translation PMs, and as we visited the different tables that were set up for the ATA divisions, we quickly realized that there was no group for those of us who work as project managers in the translation and interpretation industry. The need was evident for a group within the ATA where we could meet and learn from one another about our projects and our companies, and discuss the future of our field. I also met many people at ATA conferences who work as both freelance translators and translation project managers. This only underscored the need for a forum in which PMs could network, and ATA is the perfect community in which to do so. As a participant and speaker at ATA conferences, I have myself experienced the valuable networking that takes place among various groups: translators, translation companies, recruiters, and fellow project managers to name a few. The presence of a Special Interest Group (SIG) for translation PMs would offer us an opportunity to engage in dialogue not only with one another, but also with the various groups with whom we relate closely in our work. To read this interview in its entirety, please visit Interview with Ray Valido on the PM SIG. In April of this year, the TCD sent a survey to all of its members asking for feedback. We were pleasantly surprised by the amount of responses received and we wanted to share a summary of the findings. Regarding the communication channels from TCD, 67% of the respondents preferred broadcast email, 12% LinkedIn, 10% Listserve, 7% Facebook, and 4% blog. Some of the suggestions when asked about other services that they would like to see from TCD are: networking events, client education, its own conference, webinars, and educational seminars. When asked about what TCD could do to provide more value to its members, the answers included: advice for certification tests, incorporating more of the Spring TCS topics for the annual Fall conferences, enabling more direct contact between LSP owners and managers for the purpose of collaboration, some strong topics/workshops or support of those from local chapters, an online conversation group, and more communication about what TCD offers. A few additional comments or suggestions included: to provide more presence, activities and communication, more Facebook participation, and many messages of encouragement! The survey reinforced what we will continue working towards: more opportunity for members to network and share information. The TCD’s leaders want to thank everyone who participated. The feedback is very valuable for the leadership council to improve communication channels and provide the most value to TCD members. We hope you’ll include the below TCD events in your ATA conference schedule! Join language company professionals, translators, and interpreters for food, drinks, and networking. This is a great opportunity to share ideas with colleagues, forge collaborative partnerships, meet prospective customers, and learn more about the Translation Company Division. memoQ has generously provided three freelance licenses which will be raffled after the dinner. Don’t miss your chance to win! Tickets must be purchased in advance. Click Here to purchase. Register early, limited seating! Reservations accepted on a first come, first served basis. 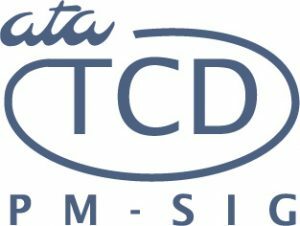 The annual meeting of the TCD will be held on Thursday, October 25, from 4:45 to 5:45 p.m. During the meeting our administrator will give an update on the activities of the association. Ray Valido will also introduce the Project Manager Special Interest Group to the TCD. We’re pleased to welcome Isaac Wambua as the distinguished speaker of the TCD. Wambua is an industrial engineer by training and a certified professional trainer, speaker, and business coach with the John Maxwell Team. His talk “Supercharge Your Business Through Influence” will focus on sales prospecting, closing sales, and persuasion and negotiation for high-paying contracts. Wambua’s session will be held on Thursday, October 25, at 3:30 p.m.